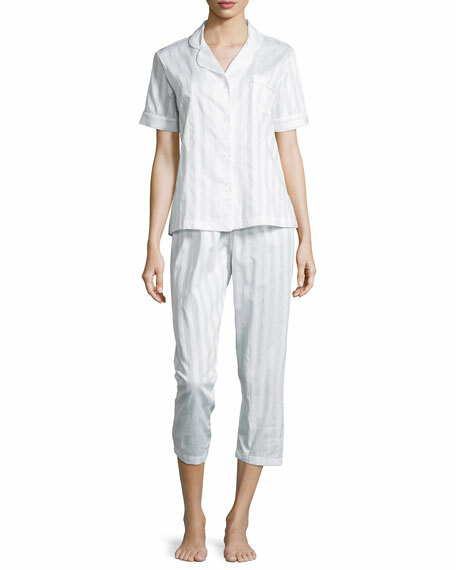 P. Jamas "Tina" tonal-stripe pajama set with contrast piping. 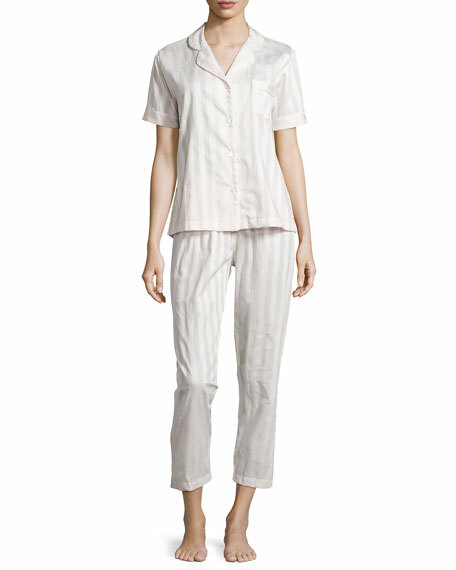 Includes matching wide-leg pants with elasticized waist. 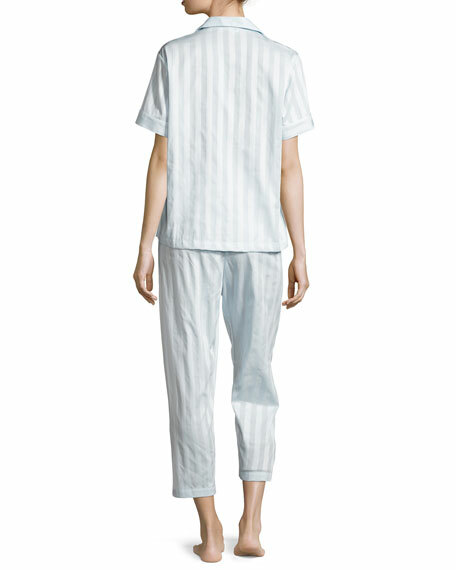 For in-store inquiries, use sku #896339.